Benefits: Acne, arouses memory, arthritis, asthma, baldness, bronchitis, colds, colitis, constipation, coughs, dandruff, dermatitis, eczema, enhances circulation, fainting, flu, fluid retention, general weakness, greasy hair, hangovers, headache, hysteria, insect repellant, lice, mental fatigue, migraine, muscle pain and spasms, nervous disorders, scabies, sinus problems, sore muscles, stimulating (mind, body, adrenals, and memory), tonic (heart, liver, and gallbladder), varicose veins, whooping cough, and wounds. Of Interest: To the ancient Greeks and Romans the plant was sacred, symbolic of loyalty, death, and remembrance, as well as scholarly learning. At weddings and important occasions, wherever solemn vows were made, garlands and headdresses of rosemary were worn, as an emblem of trust and constancy. The tragic Ophelia said, “There’s rosemary, that’s for remembrance”. The plant was also thought to bring good luck, and to impart protection against magic and witchcraft. “See the much Rosemary,” advised William Langham (1597), “and bathe therein to make thee lusty, lively, joyful, likeing and youngly”. 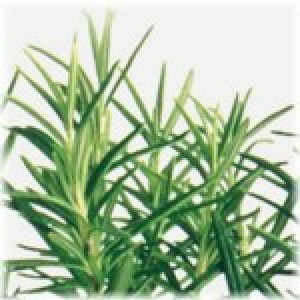 Rosemary was dedicated by the Ancient Greeks to the solar deity of Apollo, the god of medicine, music, poetry, and prophecy.